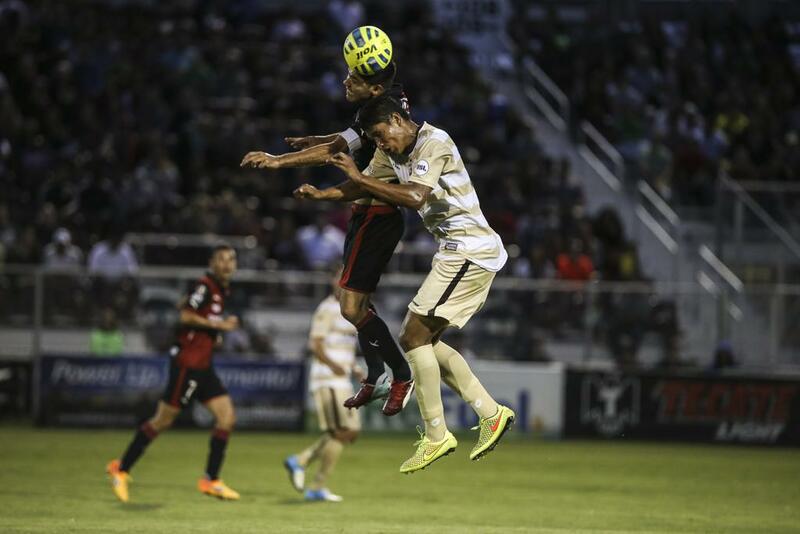 Republic FC strike first, but allow four straight goals and fall 4-1 to Liga MX opponent, Atlas FC. 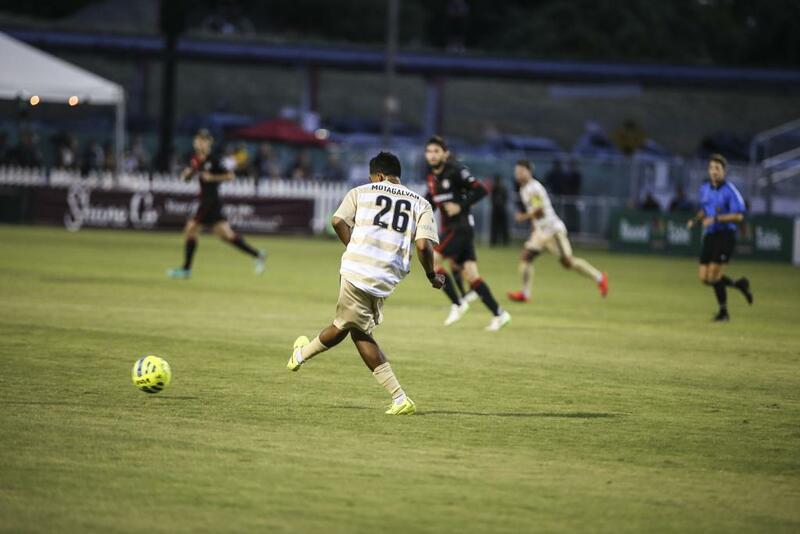 Republic FC took an early lead in the 13th minute when Max Alvarez whipped a left-footed free kick into the box that found the head of forward Thomas Stewart. Stewart made a run into the six-yard box and sent a diving flick header near-post and into the back of the net for an early 1-0 lead for Republic FC. Atlas FC would answer quickly with a goal of their own in the 25th minute. Midfielder Luis Tellez sent a long through ball in the air that found midfielder Juan Vigon streaking down the right side of the field. Vigon controlled the ball, used a shot fake to evade a defender, and sent a left-footed shot to Republic FC goalkeeper Dominik Jakubek’s left and into the back of the net to tie the match 1-1. 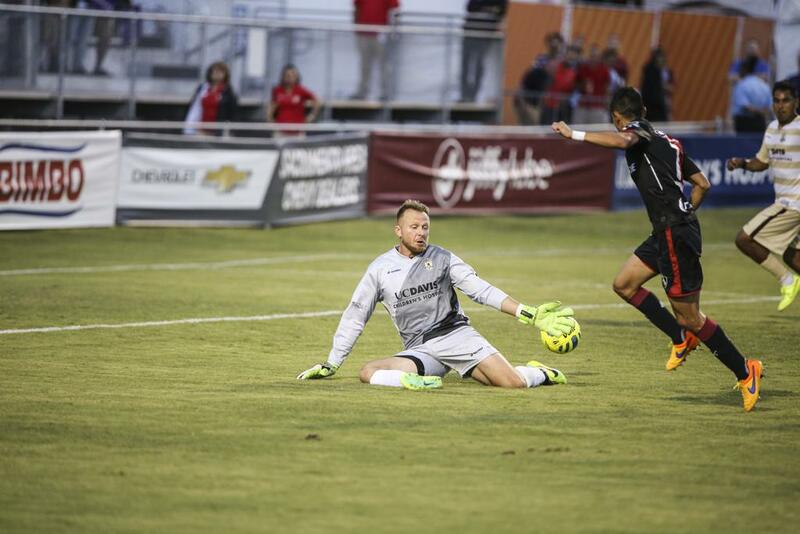 Republic FC made a mass sub in the second half, leaving just three starters on the field. After the mass sub Republic FC took time to figure out the new lineup. Atlas FC took advantage and quickly added another goal after the half. Forward Nery Caballero received a ball 30 yards out and sent a rocket of a right-footed shot past an unsuspecting Jakubek and into the upper corner of the net for a 2-1 lead. Atlas FC added another goal shortly after in the 65th minute when Republic FC defender Alfonso Motagalvan was called for a foul inside the box. Atlas FC midfielder Juan Carlos Medina promptly stepped up to the penalty spot and beat Jakubek, who was able to get a foot on the shot but Medina put too much power on the shot and it ended up in the back of the net. Forward Christian Tabo added a goal of his own in the 76th minute after finishing a rebound chance off of a Jakubek save. Atlas earned another penalty in the 86th minute but Jakubek was up for the task guessing right on Jorge Zarate’s shot. 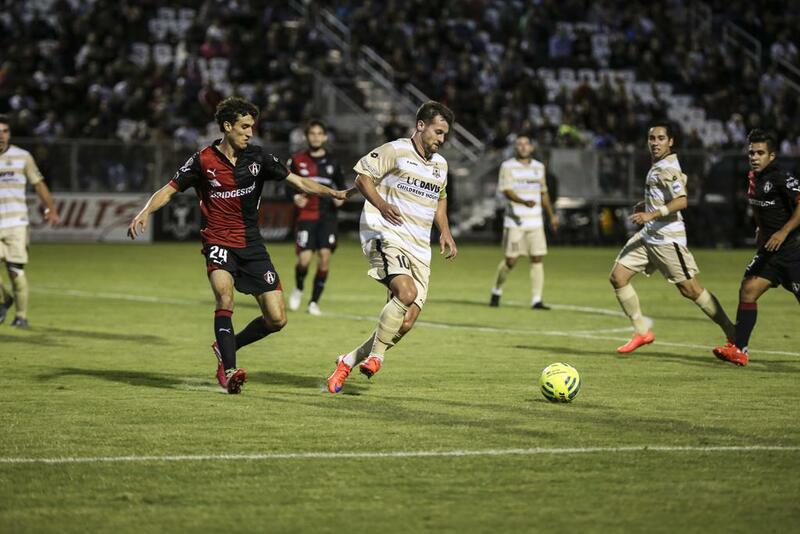 The match would end in a 4-1 victory for Atlas FC over Sacramento Republic FC. 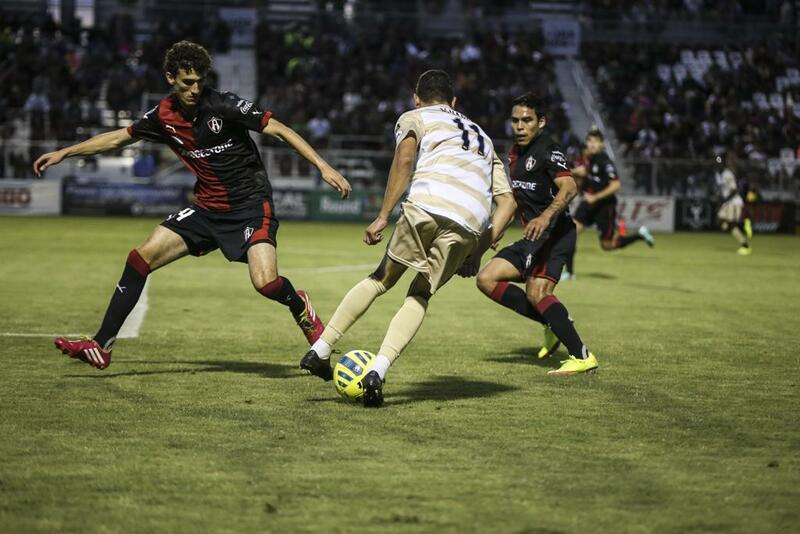 Republic FC will return to USL action on Saturday, July 11 when they take on LA Galaxy II at Bonney Field. Kickoff is 8:00 p.m. The match is sold out but will be broadcast live on CBS 13 and KHTK Sports 1140 AM. Scoring Summary: SRFC – Thomas Stewart (Max Alvarez) 13; AFC – Juan Vigon (Luis Tellez) 25, Nery Caballero (Franco Arizala) 58, Juan Carlos Medina (penalty) 64, Christian Tabo 75. Stats: Shots: 26, Shots on Goal: 15, Saves: 4, Fouls: 15, Corner Kicks: 2, Offside: 2. Sacramento Republic FC – Dominik Jakubek; Matthias Bonvehi (Matt Sheldon 45), Mickey Daly (Nemanja Vuković 45), Alfonso Motagalvan, Agustin Cazarez (Joaquin Rivas 45), Max Alvarez (Stefano Benomo 45), Gabe Gonzalez, Zev Taublieb (Sean Houston 45), Gabe Gissie (Danny Barrera 45); Thomas Stewart (Adnan Gabeljic 45), Cameron Iwasa (Kaleemullah 45). Stats: Shots: 8, Shots on Goal: 5, Saves: 11, Fouls: 13, Corner Kicks: 2, Offside: 0.